These are the last two posts about our weekend trip to Minneapolis. 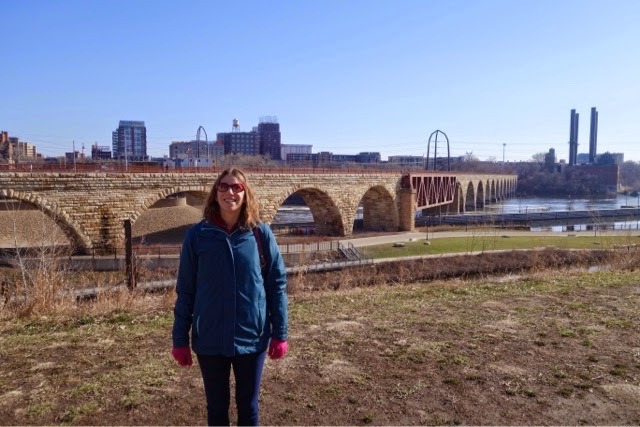 Minneapolis is a 5+ hour drive away, and even though we've lived in North Dakota for almost 6 years, there's still a ton of touristy stuff in the big city that we haven't seen. 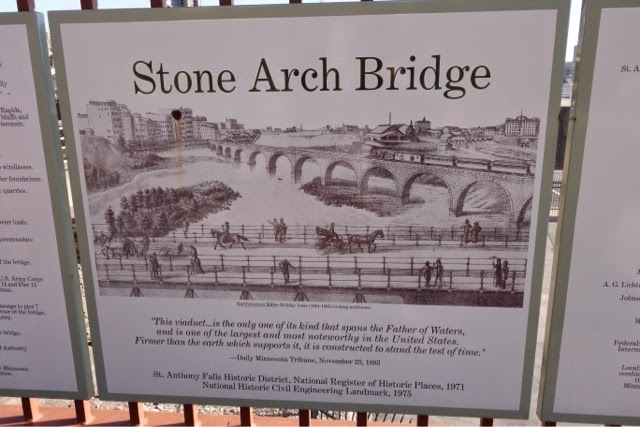 The Stone Arch Bridge in downtown Minneapolis, spanning the Mississippi River. This is the Mill Ruins Park and consist of the ruins of the old riverbank and dock structures. Loading and unloading from ships to the Gold Medal Flour Mill happened here. 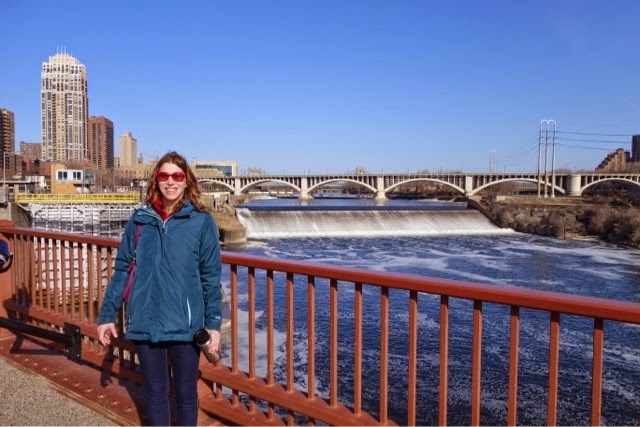 This is Saint Anthony Falls, the only natural major waterfall on the Mississippi River. 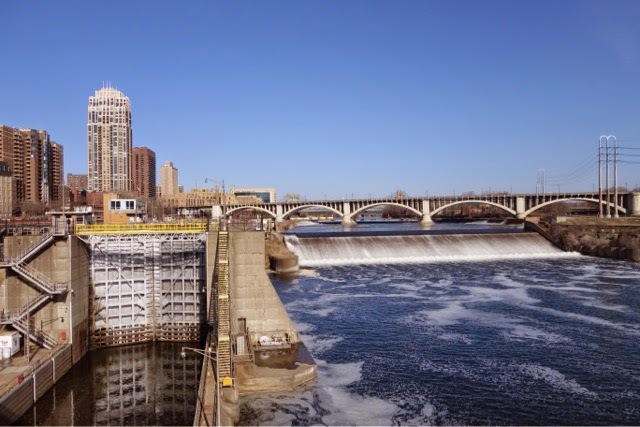 It was dammed in the mid 1800's and used to make Minneapolis the "Flour Milling Capital of the World" from the 1880's until the 1930's. The concrete spillway was created after a partial collapse of the falls in 1869. The locks on the left and a series of dams (including one for hydroelectric power) were created in the 1950's and 1960's. This is the inside of the Gold Medal Flour Mill. It was shut down in 1965 and then a huge fire gutted the abandoned building in 1991. 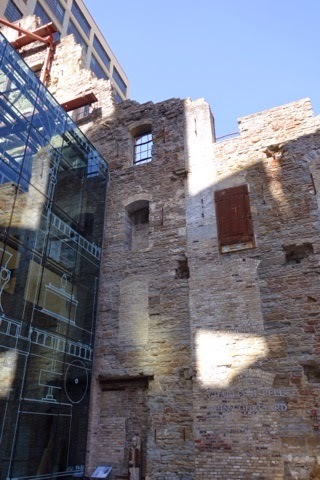 It was made a National Historic Landmark in 1983, and was restored and reopened as the Mill City Museum in 2003. 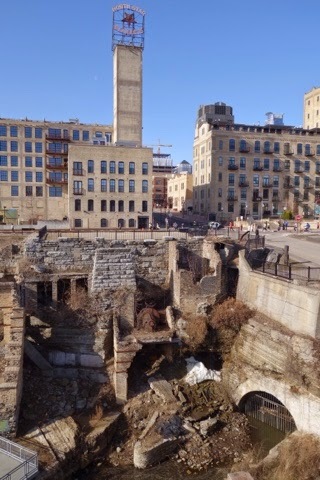 Here's the Mill City Museum Website. The brand new museum was built in/around the old factory and it made for a striking combination of old and new construction. New glass and steel on the left, old bricks on the right. 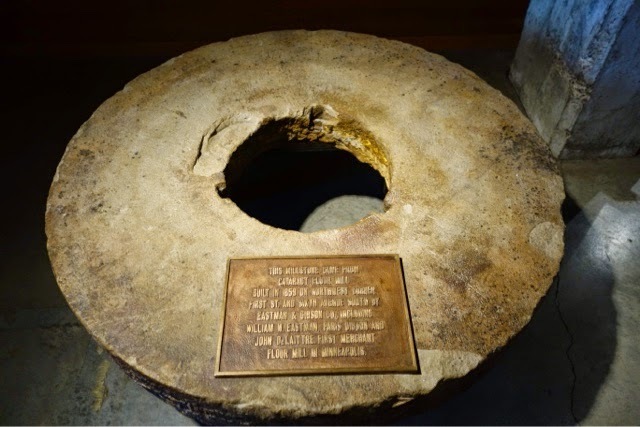 The original mill stone from the flour grinding mill. 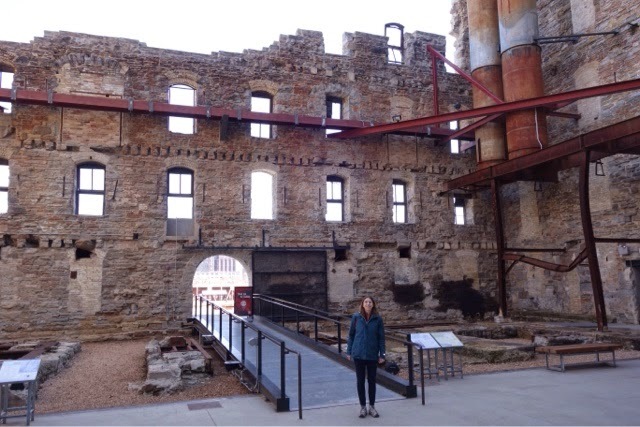 We have been to the Mill City Museum but not to the park - will have to put it on the itinerary for our next visit to the Twin Cities.